In this world humans share with wildlife, it is often difficult to keep invisible boundaries from being crossed. 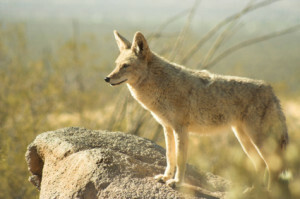 Many types of wildlife can encroach upon properties. Whether your problem involves mice, squirrels, skunks, bats, snakes, birds or any other kind of wildlife. It is important to have any wildlife management issues addressed by a commercial wildlife management professional. Left alone, not only can wildlife be a risk for your customers, but animals may cause damage to your building as well.